Bill Windsor, there are very few members left in the group that you have always called The Joeys. I call them The GENII, but a hateful gang of cowards by any other name smells just as bad. The survivors have abandoned their original hangout at the "Joey" blog. The Joey owner (allegedly Casey P. Hargrove), who I call The HOPPER, continues to write articles there. But the rest of the GENII Order does not show him the courtesy of commenting. It's as if The HOPPER is dead to them. This article is written by Susan Harbison, Official GENII Watcher. The GENII* now congregate on a blog owned by "Petunia" (allegedly Kellie McDougald), who I refer to as Spitunia. Kellie McDougald admits she uses the screen name SemperFi Wife but she is also posts as Anonymous. So this lone individual posts (allegedly) under at least four names, creating the appearance there are more people on her blog than there really are. ::sniff, sniff:: I smell desperation. Spitunia claims that many LawlessAmerica.com readers are also regular readers of her blog. I wouldn't trust Spitunia to correctly tell me what day of the week it is so I take her claim with a huge grain of salt. But on the outside chance that some of your readers are following the fiction and fantasies of the GENII, and since they have locked down their blog so there can't be any rebuttal (or truth) there, I'll review their activities here. It would be a shame if anyone read their blog and actually believed the things they say. Right now, they are devastated by the dismissal of your charges. They are spinning as fast as they can to save face after an entire year of predicting that you are going to jail for life. As a diversion, they are concentrating on saying anything and everything that might turn the Lawless America people against you. They take everything you say and spin it into something entirely different. The GENII hope and believe the people here are fool enough to believe the GENII fantasies. They hate you for personal reasons and they want to destroy Lawless America to hurt you. They've been at it for almost three years now, but they don't think they are obsessed. LMAO. 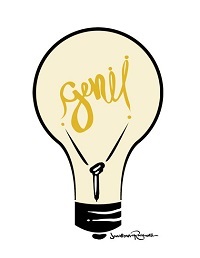 * GENII = plural for genius, used to identify a group of people as anything but smart.